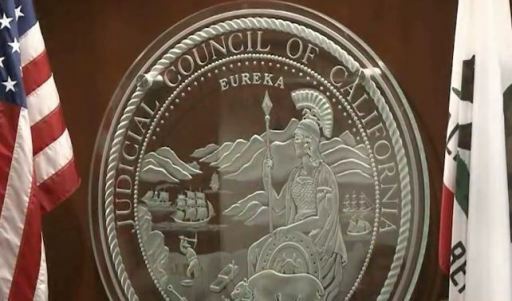 SAN FRANCISCO (CN) – In unveiling an updated technology plan for the courts, the California Judicial Council said Friday it has learned from the tech debacles of the past. “The public wants the same kind of interface as with private business,” said council chair Chief Justice Tani Cantil-Sakauye. The council’s Strategic Plan for Technology promises to do just that. It outlines four goals: Promoting the use of digital court services, fostering a collaborative environment so courts can work on IT innovations, building an infrastructure that will allow public access to the courts while securing private information, and modernizing court rules to make using technology easier. These goals are bolstered by three technology principles: access, reliability and innovation. Justice Marsha Slough, chair of the council’s technology committee, presented the plan as a “sleek and accessible” update to its predecessor, a roadmap out of the ruins of the Court Case Management System – an IT project that it had been developing for 10 years but was forced to scrap in 2012 after it was widely criticized by lawmakers and the state auditor. Through CCMS, the council sought to connect the state’s 58 trial courts and various “justice partners” through one unifying computer system. It was an enormous endeavor, one that cost the state a half-billion dollars and was projected to cost at least $1 billion more, according to an audit released in 2011. The project divided the judiciary between those who saw it as an outrageous waste of money that would never work as intended, and those who saw its potential to streamline court services, if only the judiciary could convince the Legislature to pump more money into it. After the project had been in development for years, it was used in only a handful of courts – and only successfully by those who had customized it beyond recognition. Since the council pulled the plug, courts have moved independently to purchase case management systems developed by companies like Tyler Technologies and Justice Systems Inc. In some ways, CCMS paralleled the high-speed rail of today, which has likewise attracted a scathing audit and rebukes from legislators. And yet the fear of falling behind on technology kept the project going. And some pleaded its case before the council even up to the fateful vote. But Justice Slough’s message on Friday was that the council has come a long way from CCMS, and one major lesson from that project was to listen to the trial courts. State Sen. Hannah Beth Jackson, D-Santa Barbara, and chair of the state Senate Judiciary Committee, referred to CCMS when asking Slough about the new plan’s comparative goal to connect the courts. The four-year plan picks up where the last one left off. Cost for the improvements is unknown, but will be funded by the Legislature as part of the judiciary’s annual budget allocation and by the State Trial Court Improvement and Modernization Fund, which the council oversees. Additionally, Gov. Jerry Brown included $25 million in general fund money for court innovation grants in 2016, which goes directly to the courts to fund technology programs.